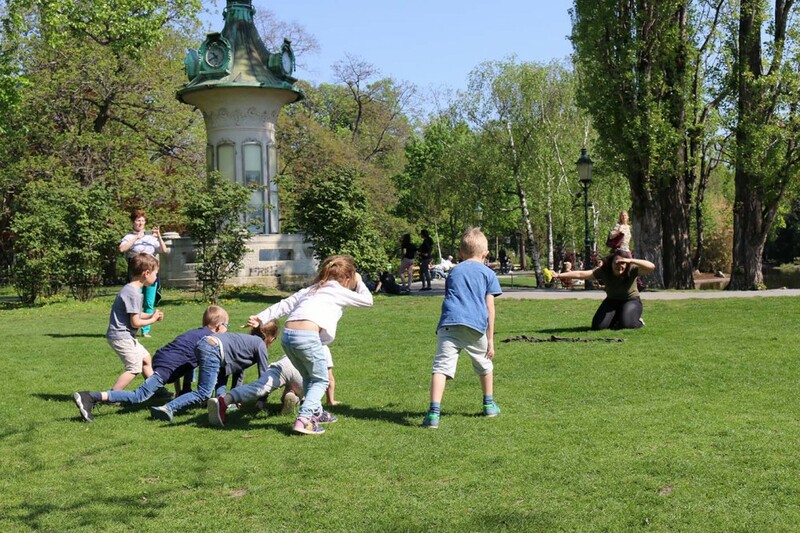 A three-day workshop which playfully explored performance-based languages in collaborative design processes with children. Look! 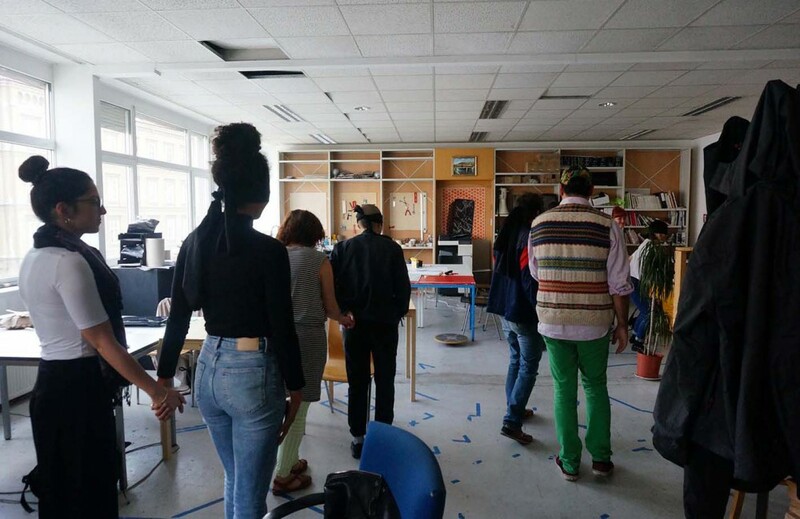 There, in the distance...was a three-day workshop organised by design researchers Jon Geib and Annelies Vaneycken. 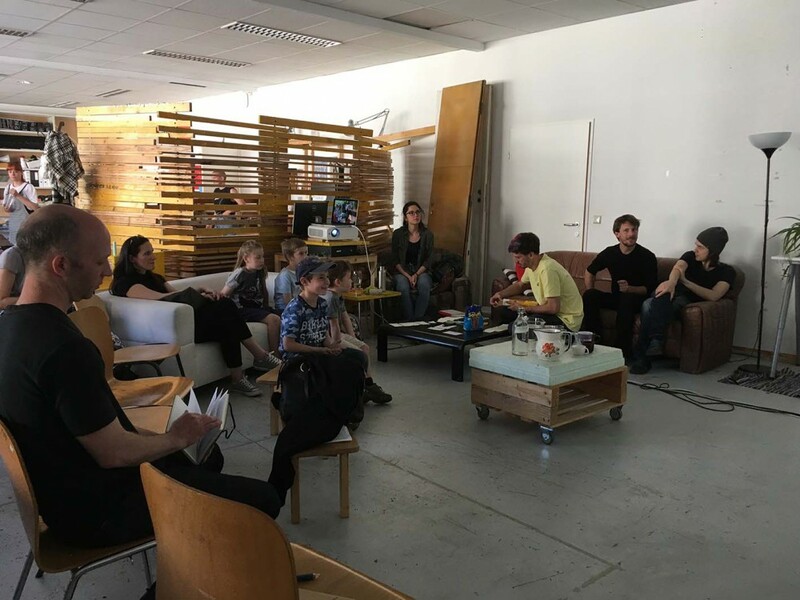 The workshop was part of the Fokus Week: strategies of play with children and the city, at the Social Design department of the University of Applied Arts Vienna (Angewandte). Look! There, in the distance...engaged a group of master students in Social Design to playfully explore performance-based languages in collaborative design processes with children. 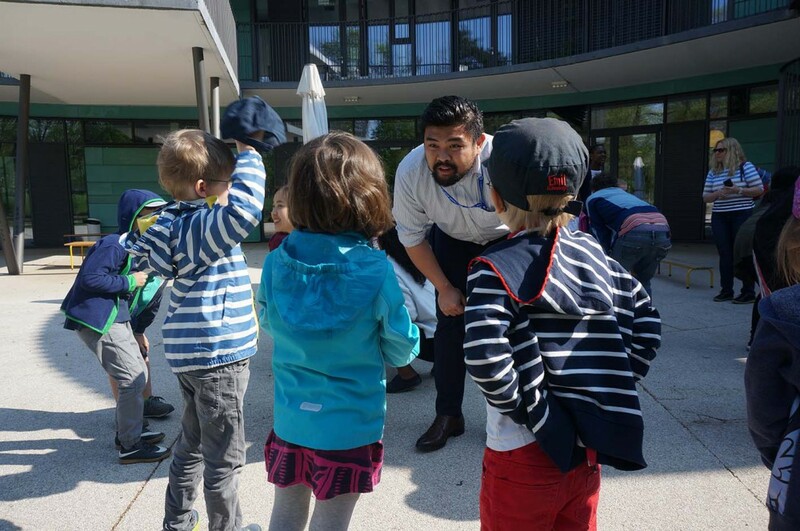 These explorations happened through daily connections between students and about 20 children (age 4-5 years) and their pedagogues from Städtischer Kindergarten. It generated intense experiences — joyful, sincere, and at times chaotic. The workshop departed from psychologist and pedagogue Loris Malaguzzi’s belief that children have diverse ways or a ‘hundred languages’ of thinking, revising, constructing, negotiating, developing and symbolically expressing their thoughts and feelings — ways which may defy pedagogic and cultural expectations. 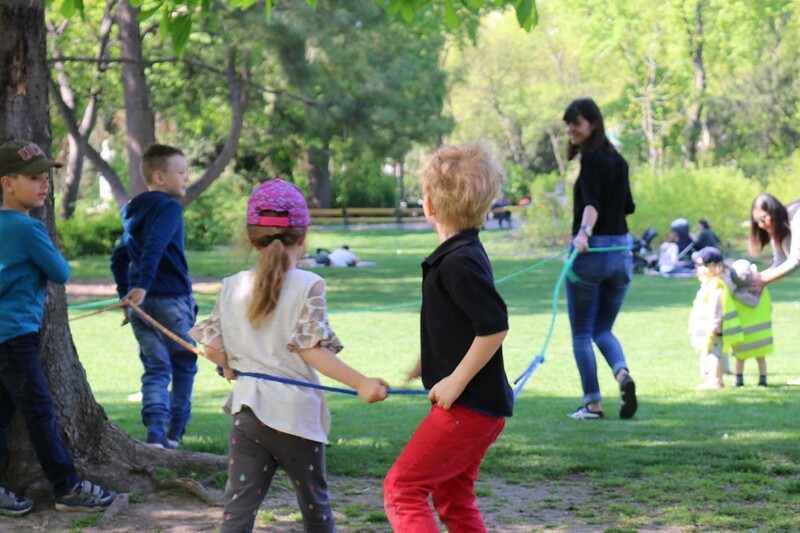 The workshop engaged the students to explore this unfamiliar terrain together with children and adults. 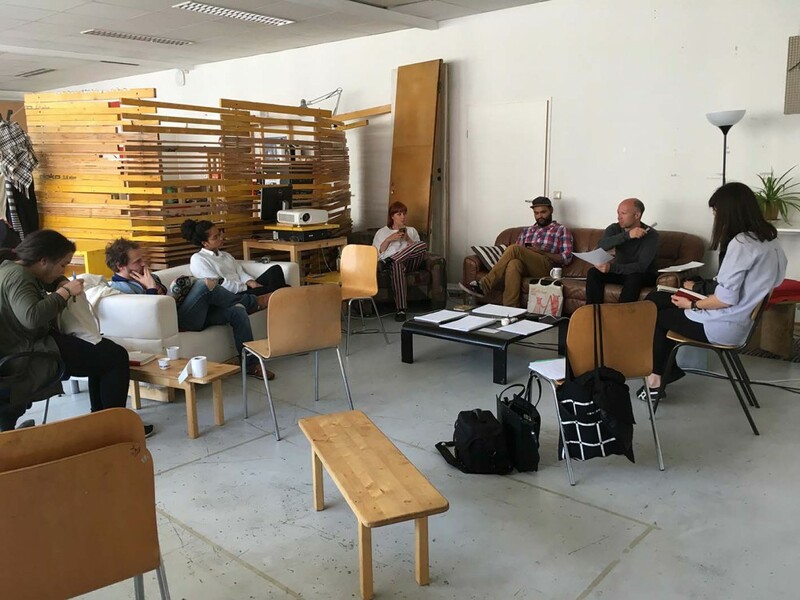 It also encouraged them to reflect on using such an approach when working on complex design challenges, emerging with the rapid transformations of the contemporary city. 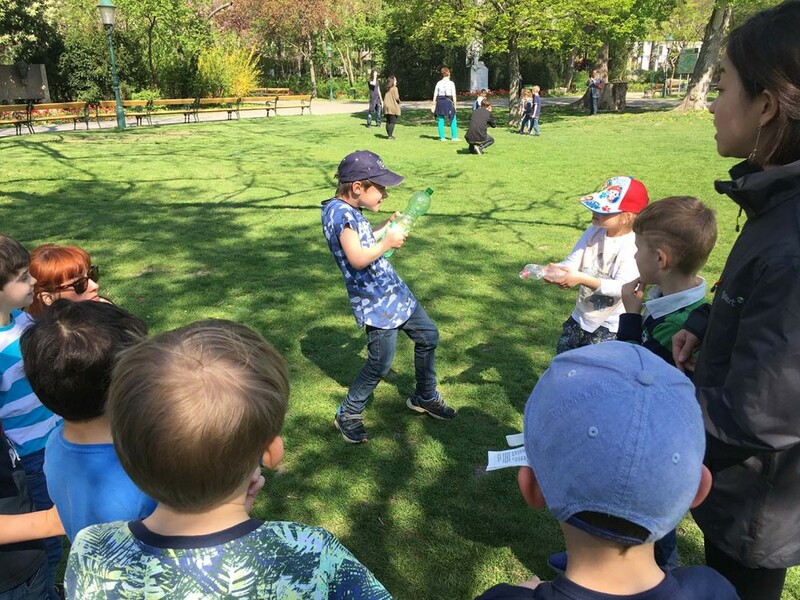 Workshop activities included open lectures, sensitizing exercises for students, a tour of the kindergarten, and two sessions of fieldwork in the Stadtpark with kindergarten children and their pedagogues. 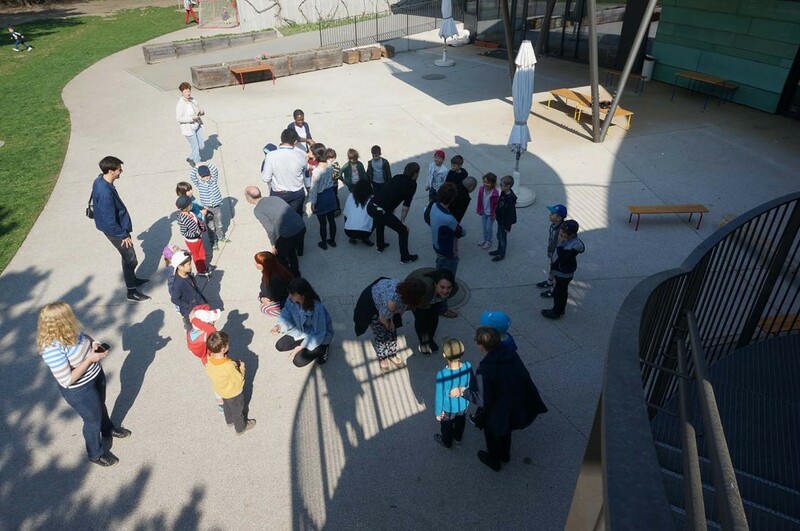 In the first session, children and students explored the park in small groups largely led by children. Students then developed a design intervention for collaboratively exploring specific aspects of non-verbal communication, which they tested and used as a base for improvisation the next day. 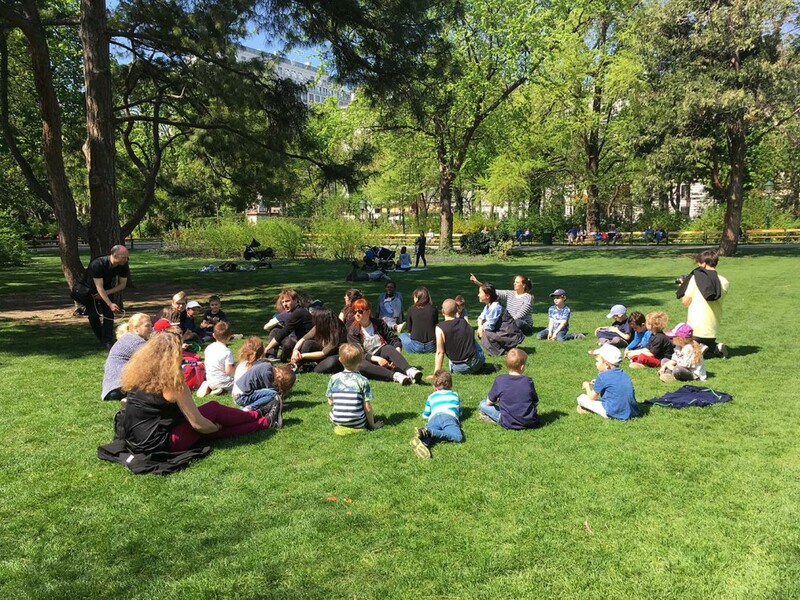 Students shared their experiences, approaches and reflections on how children expressed themselves in relation to the Stadtpark whilst using their ‘hundred languages’. The workshop ended with a student presentation attended by many of the participating children, their parents and pedagogues. Jon Geib is an urbanist and architect whose doctoral research at Chalmers University of Technology in Gothenburg (as part of the EU project TRADERS) foregrounds processes of critical estrangement in multivocal encounters between design, participatory practice, collaboration with urban-cultural-educational institutions, and artistic research methods. Annelies Vaneycken is a socially engaged designer whose doctoral research at HDK Academy of Design and Crafts in Gothenburg (as part of the EU project TRADERS) foregrounds designing for and with ambiguity as a resource for actualising democratic participatory design processes with children.